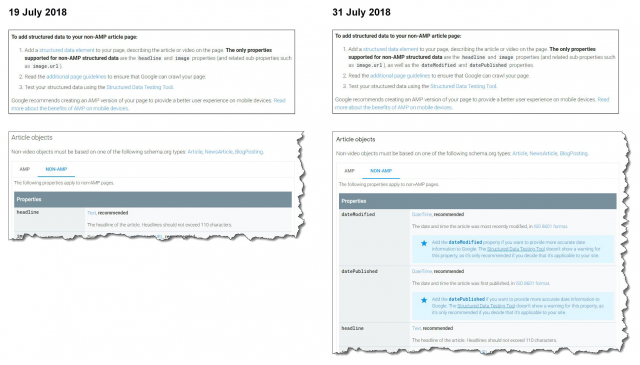 Aaron Bradley posted on Google+ that Google updated their article structure data recommendations for non-AMP articles to recommend you add datePublished and dateModified to non-AMP Article pages. The only properties supported for non-AMP structured data are the headline and image properties (and related sub-properties such as image.url). 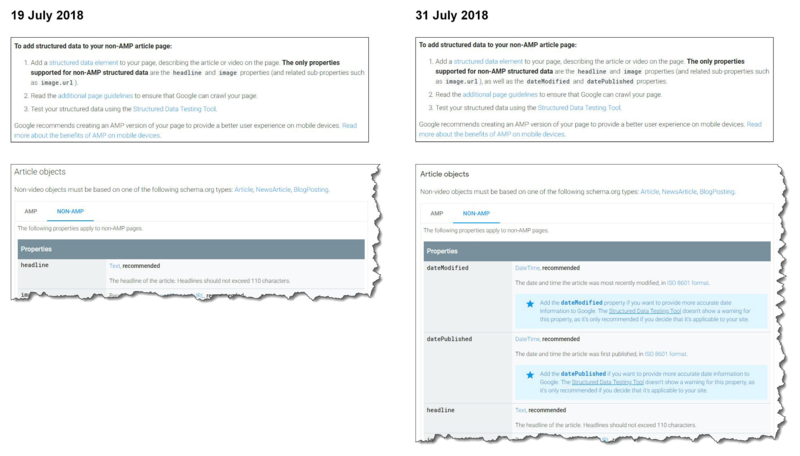 The only properties supported for non-AMP structured data are the headline and image properties (and related sub-properties such as image.url), as well as the dateModified and datePublished properties. So go ahead and add more date details to your article markup if you have not done so already. Maybe, just maybe, Google will be showing more non-AMP pages in the top stories? Maybe even in the carousel? Maybe?